Flavius Iustinus Augustus was Byzantine emperor from 518 to 527. He rose through the ranks of the army and ultimately became Emperor, in spite of the fact he was illiterate and almost 70 years old at the time of accession. His reign is noteworthy for the resolution of the Acacian Schism between the eastern and western branches of the Christian church. This temporary eastern deferral to the western church did not endure. 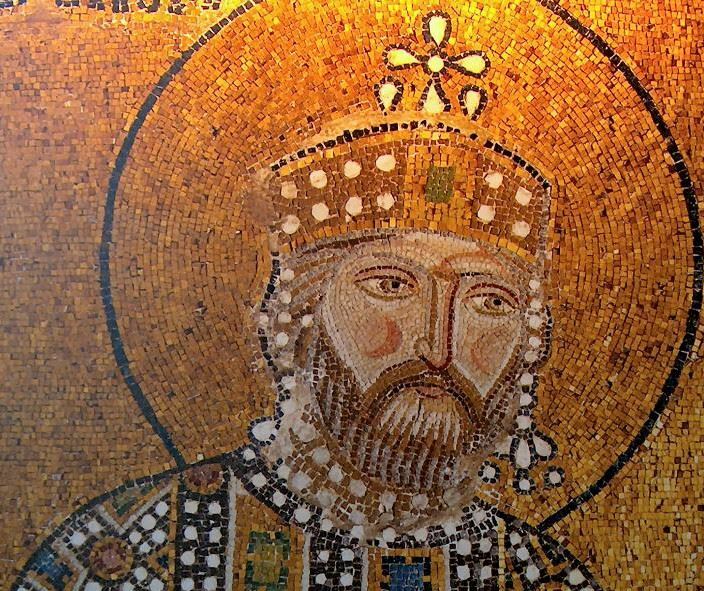 His reign is also significant for the founding of the Justinian Dynasty that included his eminent nephew Justinian I. In 525, Justin repealed a law that effectively prohibited a member of the senatorial class from marrying women from a lower class of society. This edict paved the way for his nephew Justinian to marry Theodora, a former mime actress. He died of old age in 527, after naming Justinian his successor.